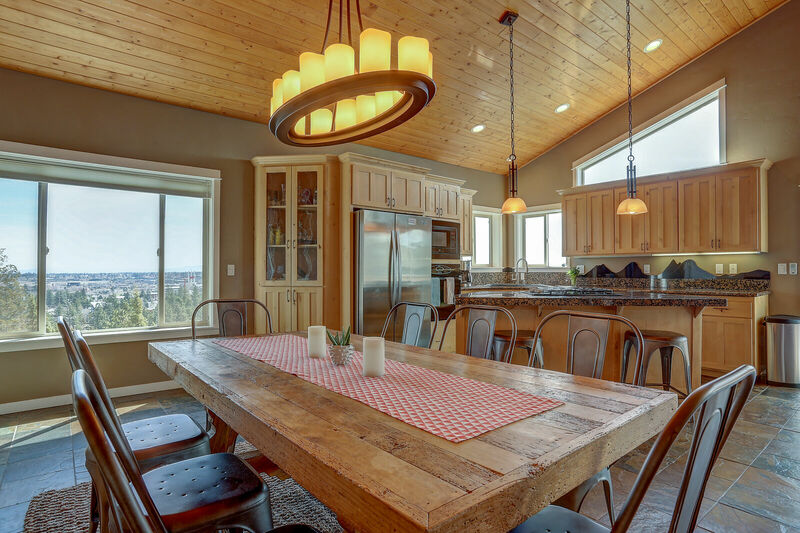 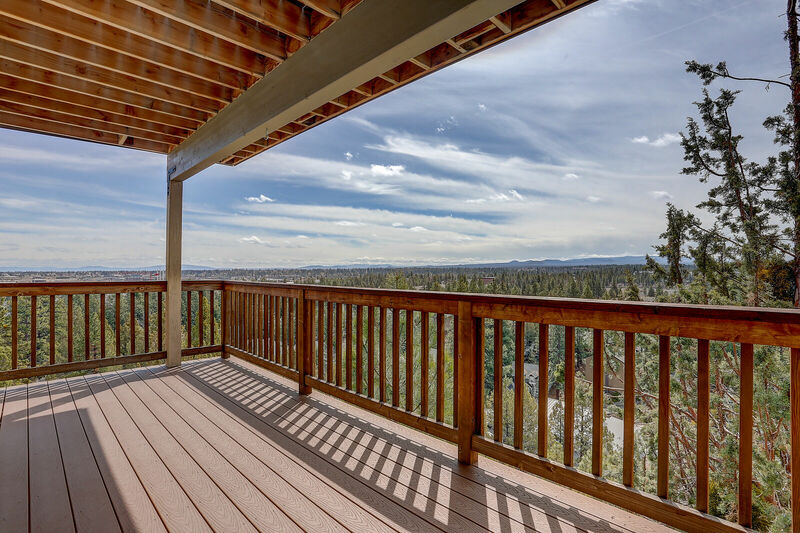 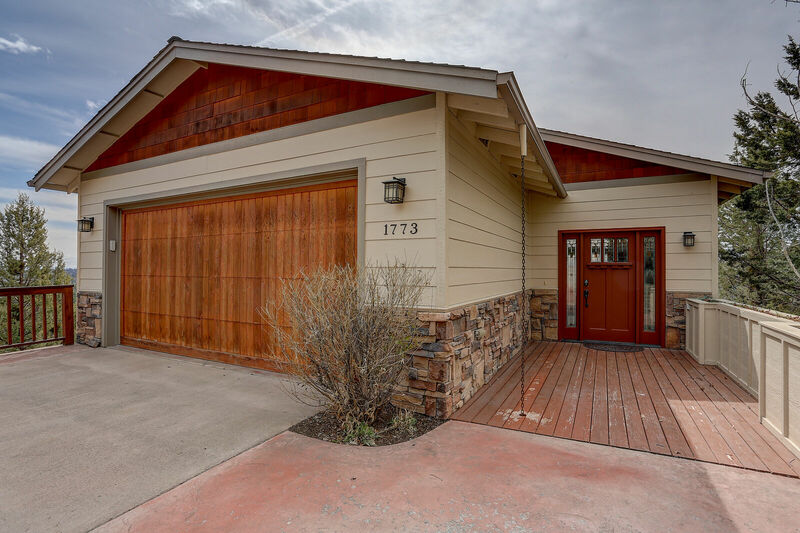 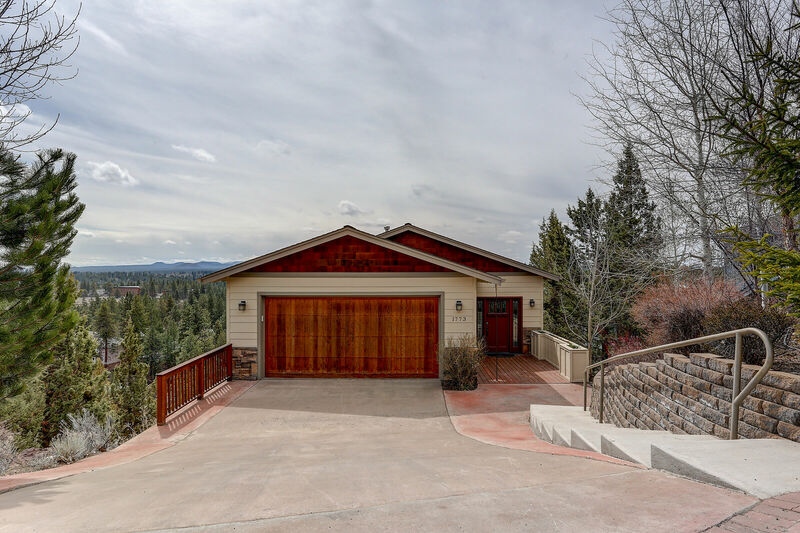 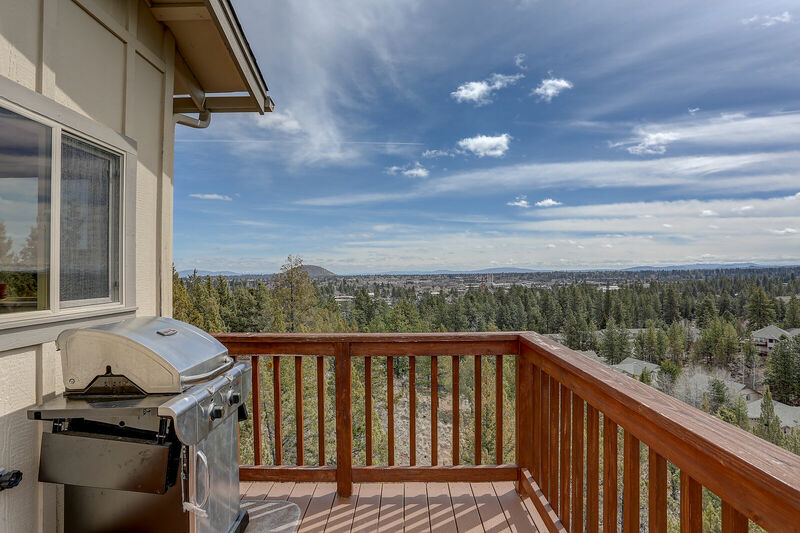 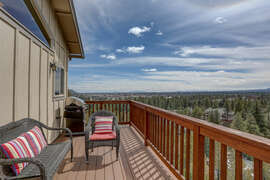 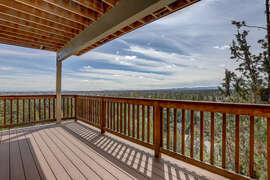 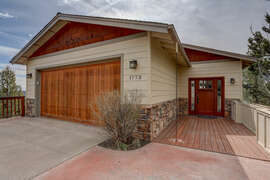 This home, one of our most popular Bend, Oregon vacation home rentals, has a view that will take your breath away. 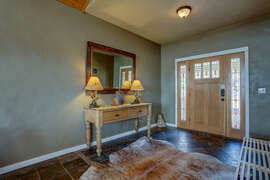 You'll feel the tension leave the moment you walk in the front door. 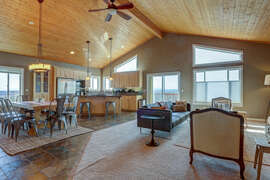 Enjoy majestic sunrises in the mornings while sipping a cup of freshly brewed coffee. 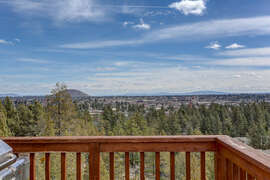 On a clear day view the weather conditions on Mt. 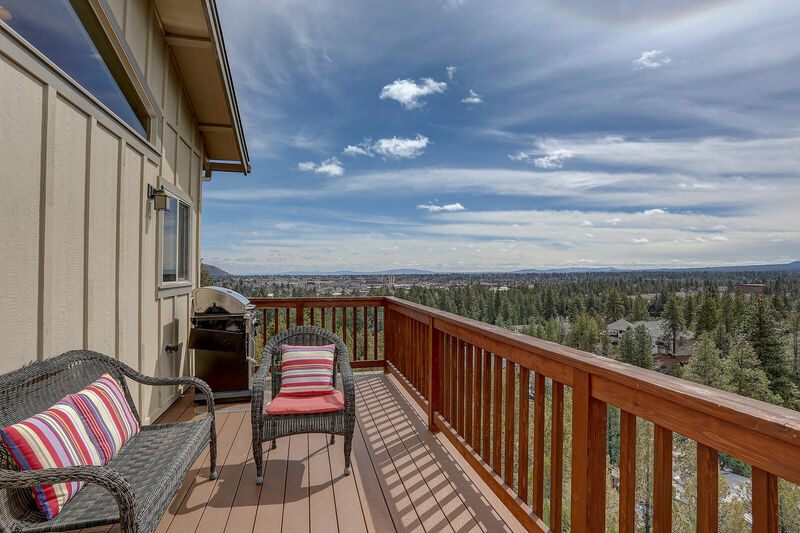 Bachelor directly from the upper deck. 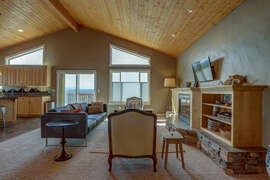 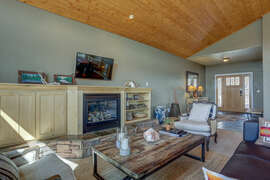 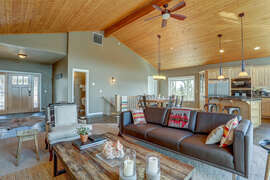 After an energizing day on the slopes or the trails, gather with friends by the fireplace in the living room. 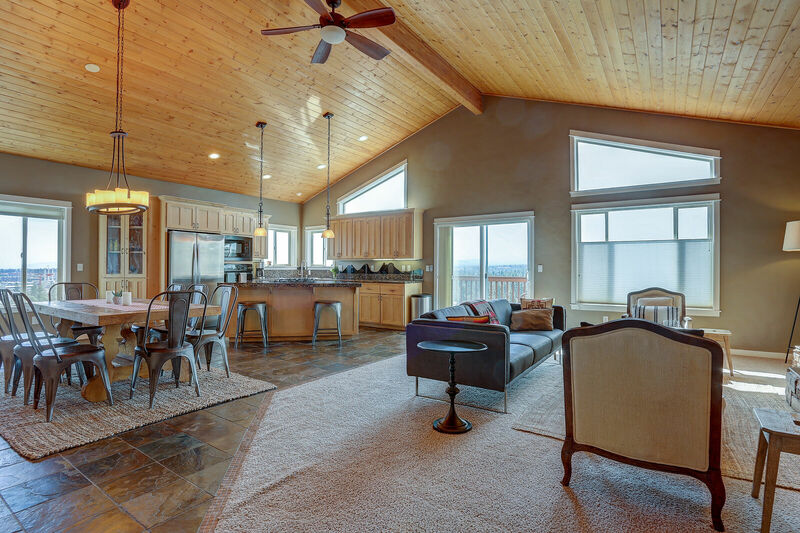 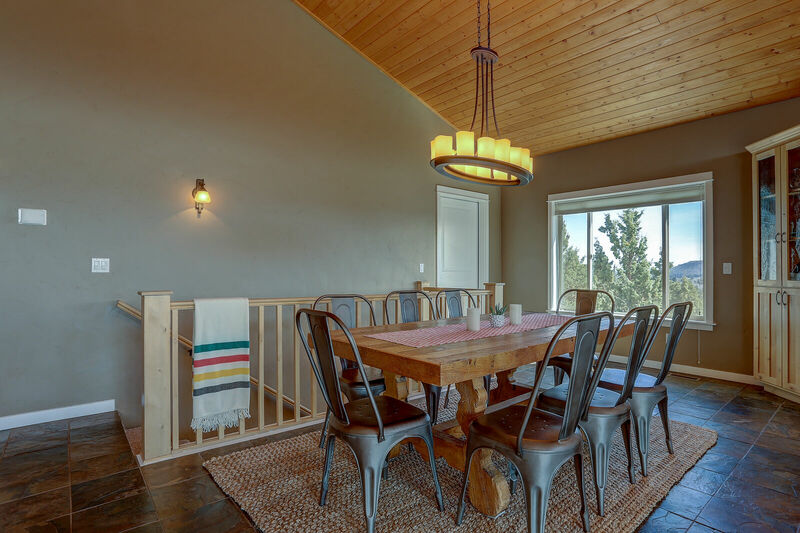 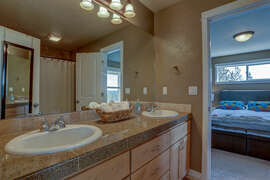 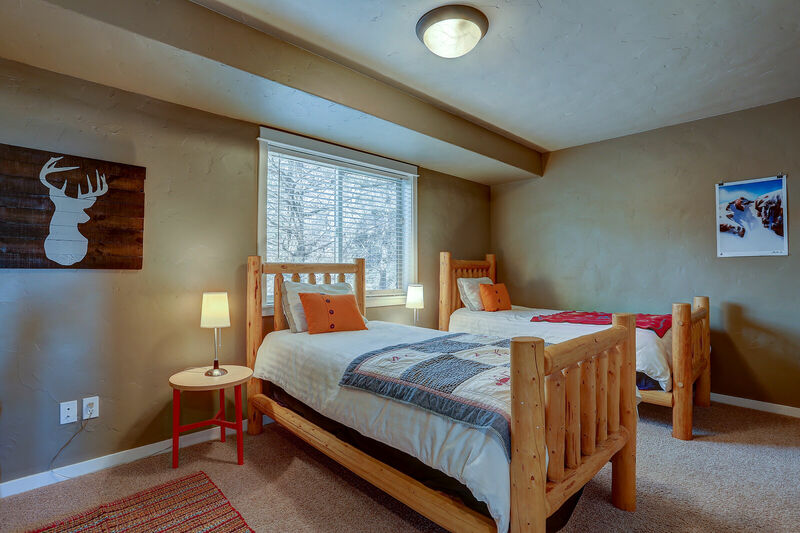 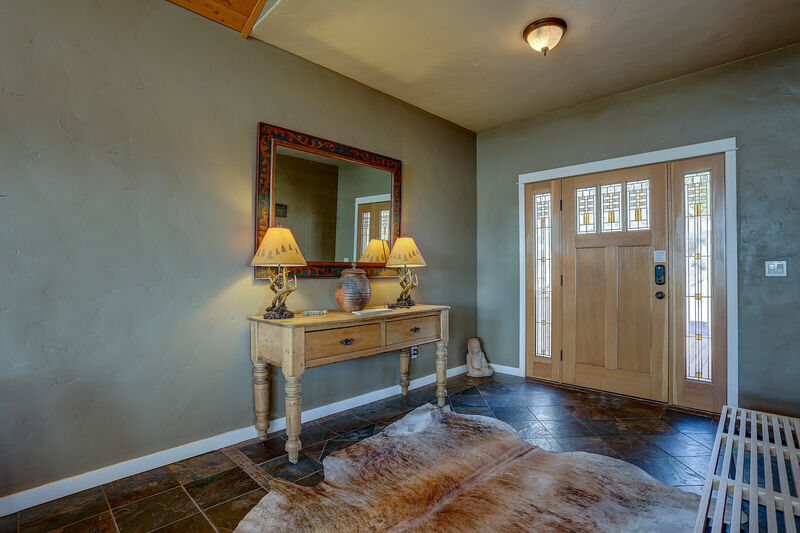 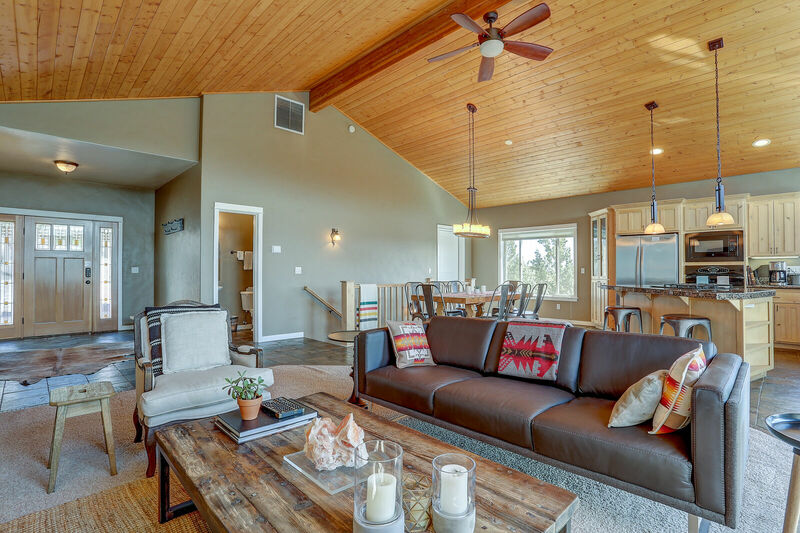 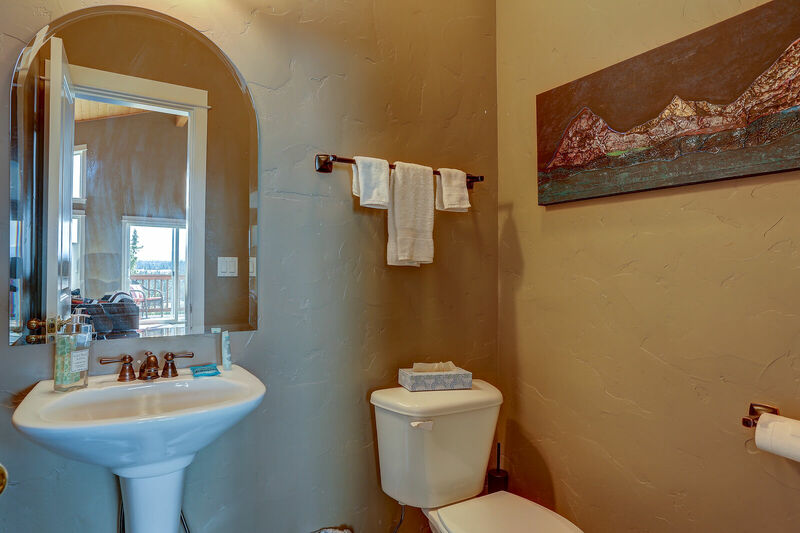 Golden Butte is a four bedroom, two and half bathroom vacation home which sleeps 8 comfortably. 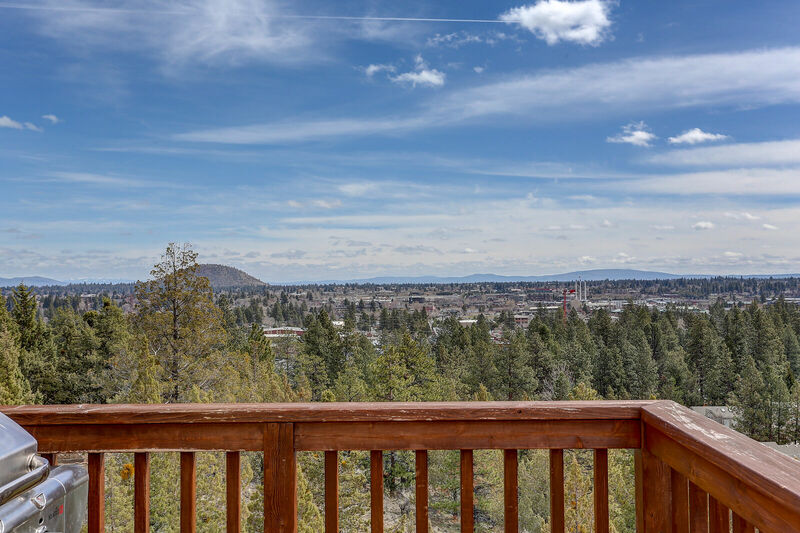 Bend, Oregon makes this home an excellent spot for your next vacation. 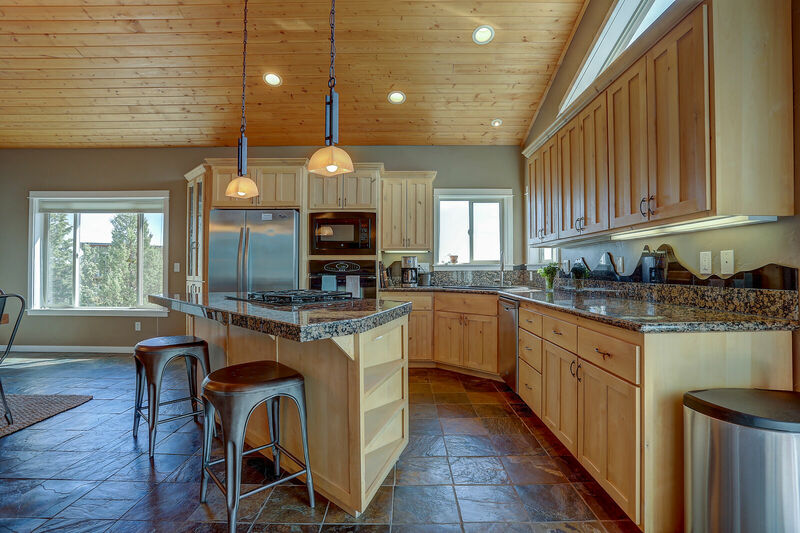 Enter on slate flooring with the fully-equipped kitchen and living room with a fireplace as the center of the home. 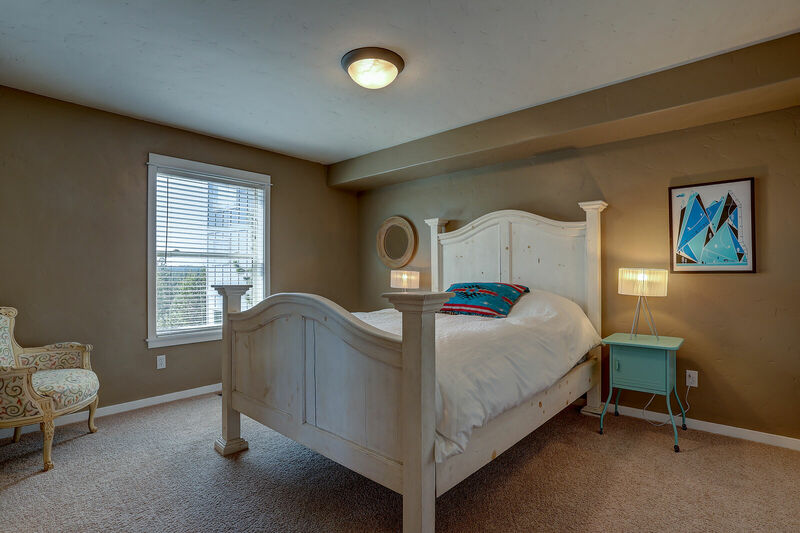 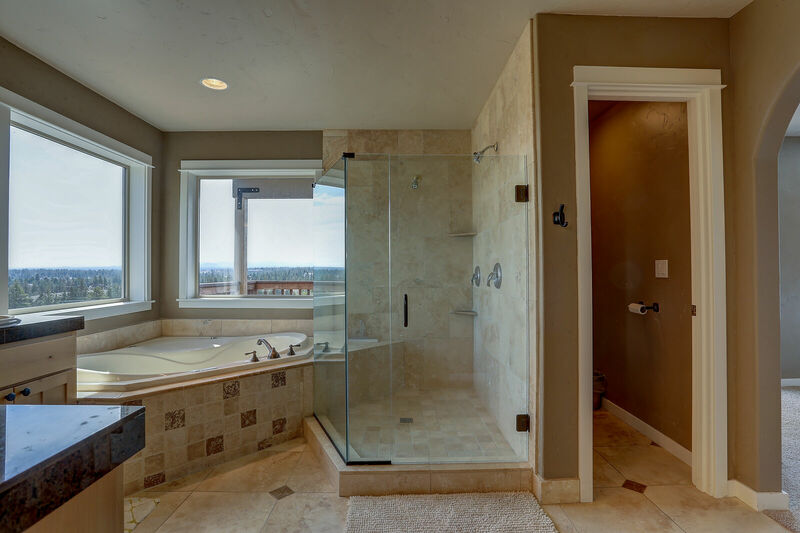 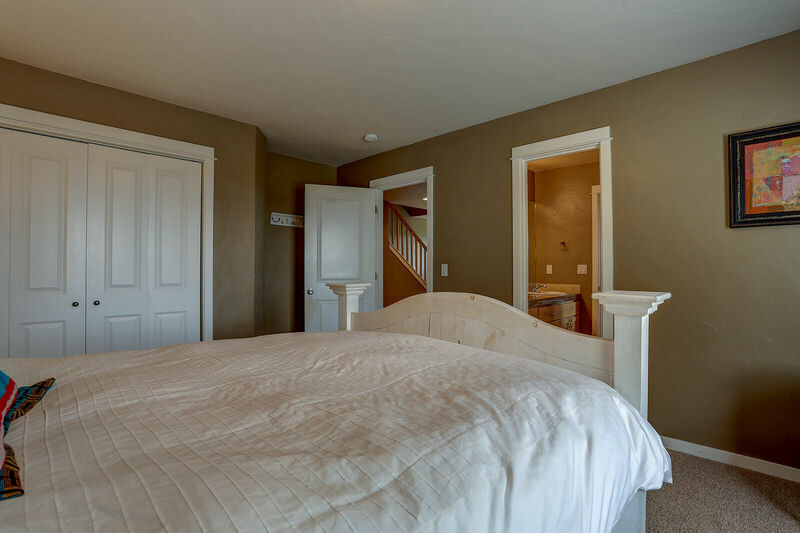 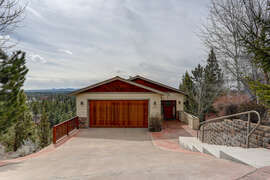 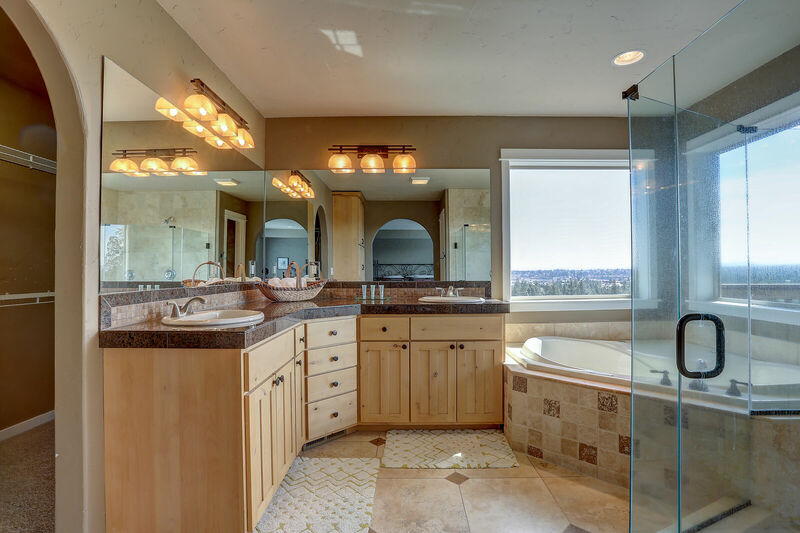 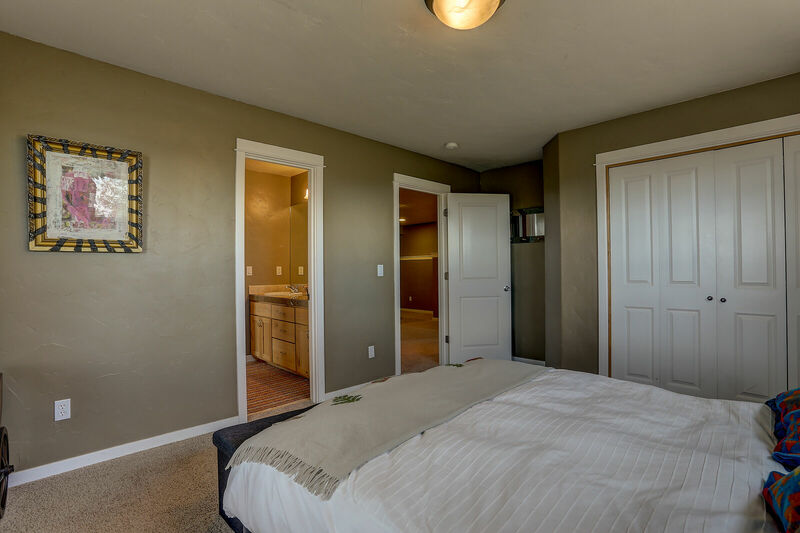 On the second floor of the home, the large master suite with a King bed, large walk-in closet, The large en-suite, tiled bathroom has dual sinks, walk-in glass shower, jetted sunken tub with two large picture widows for a relaxing view and a water closet. 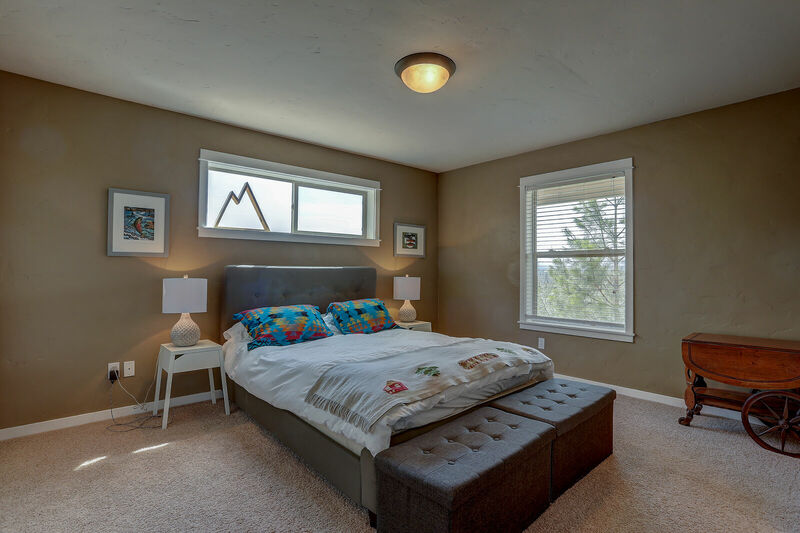 The second bedroom on the floor is a great kids room with two twin beds. 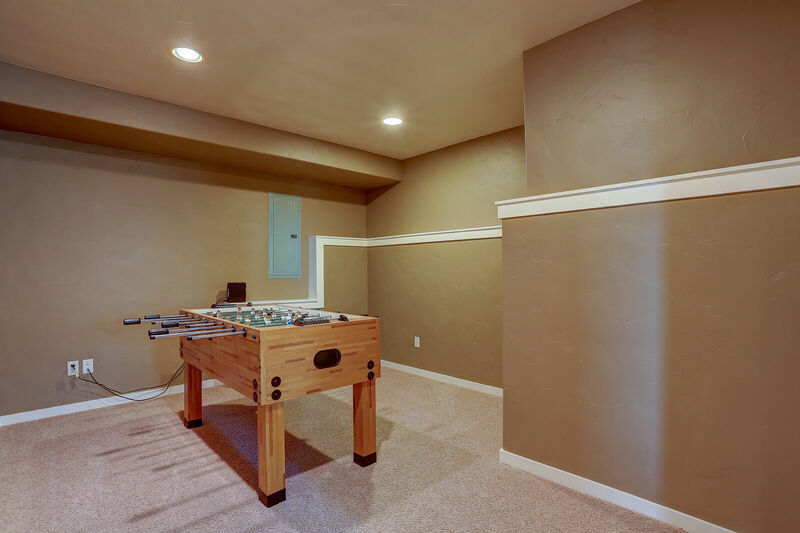 There is a Media Room for your entertainment. The large wrap around couch and Flat Screen on the wall with make you want to watch movies forever. 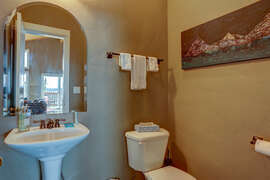 The third floor features two Queen guest suites with 'shabby chic' distressed decor and great views. There is a shared bathroom in between the bedrooms. As well on the 3rd floor is a Foosball table for your fun. 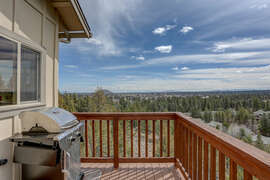 Send the kids downstairs for a fun game of Foosball while you sit upstairs and enjoy the views. 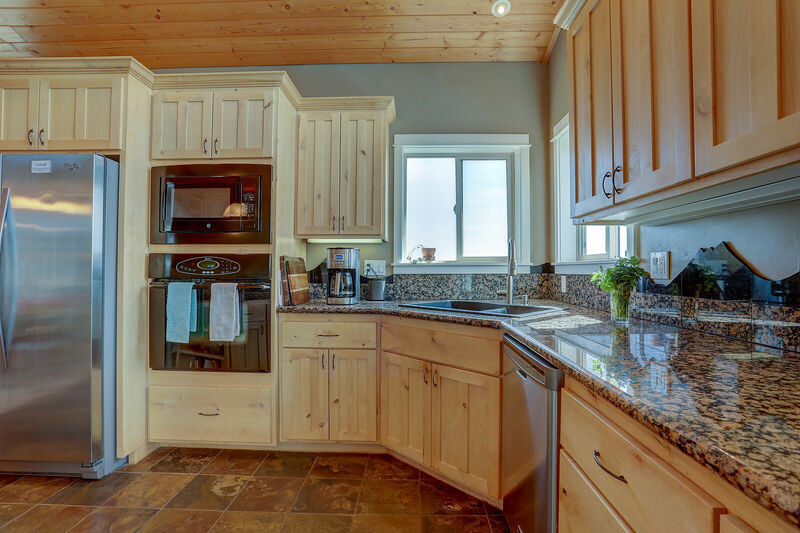 The fully equipped kitchen has stainless steel appliances with a four burner gas range, breakfast bar with granite tile and seating for two. 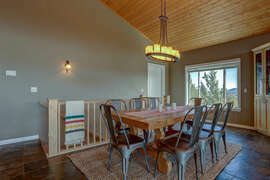 The home also has formal seated dining for six on slate flooring. 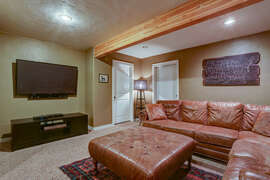 The living room has a gas fireplace, comfortable sofa, two chairs and a large LCD Flat Screen television with a blue ray DVD player and high definition cable service. 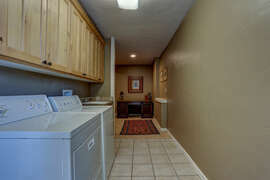 We allow pets at pet friendly homes only with prior approval and a $15/night/pet, pet fee. 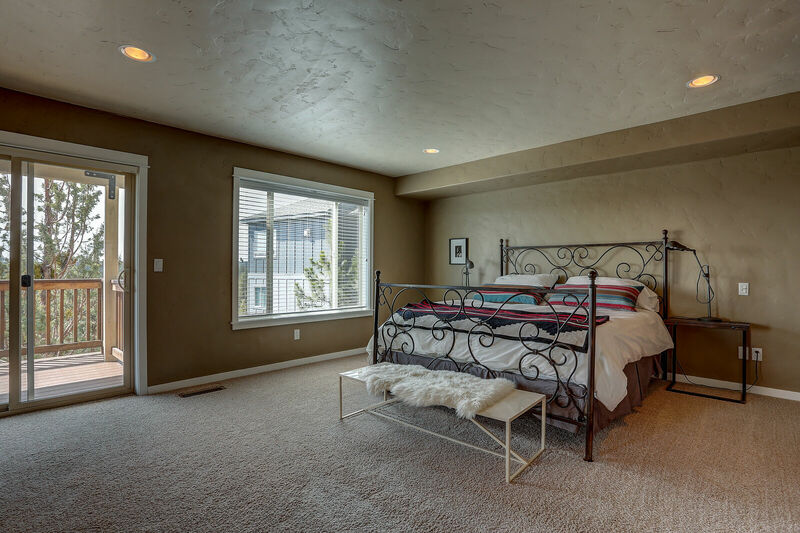 Pets are not permitted on the bedding or furniture and must never be left at the home alone unless they are crated/kenneled.